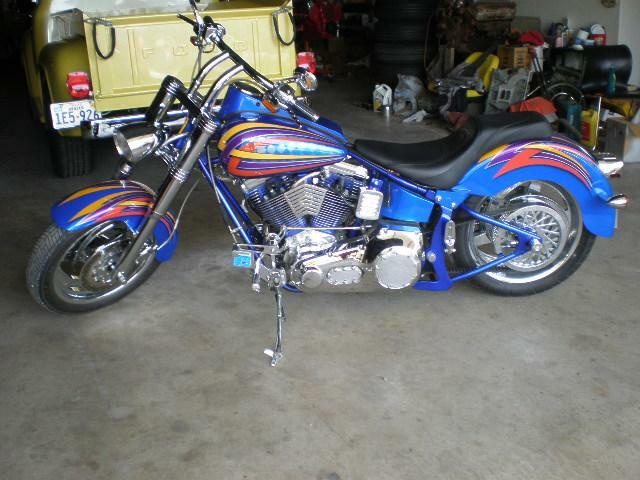 2001 Softail Custom with 921 miles. It will have more miles as I am riding it. This is a very well built custom built motorcycle built with the best of parts, mostly genuine Harley parts including the wiring, electrical and switches. Harley motor, trans, wiring, switches, speedometer, Arlen ness front end, Milwaukee iron sheetmetal, It has a beautiful, very high quality paint job by Colormania. It is literally a new bike with just a couple of minor cosmetic flaws and priced to sell at much less than half of the build cost. Fly in and ride it home.